Here at FramesDirect.com we're obsessed with glasses; whether it's the latest trends in frame styling, a hot new collection by an up-and-coming designer, or an innovation in frame and lens technologies, we follow the industry with an eagle eye. 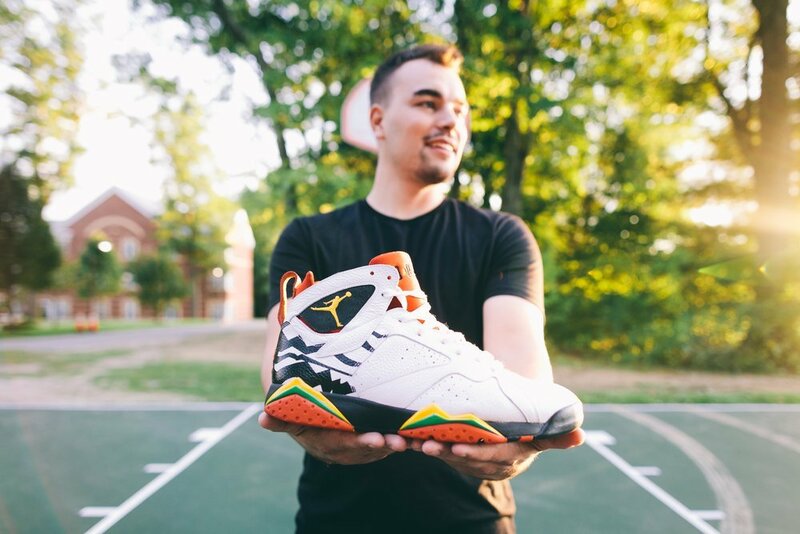 With a hobby that's been around since the 80s but really hit its stride with the invention of Air Jordans, Sneakerheads collect, trade, obsess over, and sometimes spend all their disposable income on sneakers. With a passion for fashion in common, FramesDirect.com decided to partner with TBlake, a top dog in the sneakerhead world, to help him get the perfect pair of frames to go with his kicks. We think he looks pretty good, don't you?